The signs of spring is here in DC. 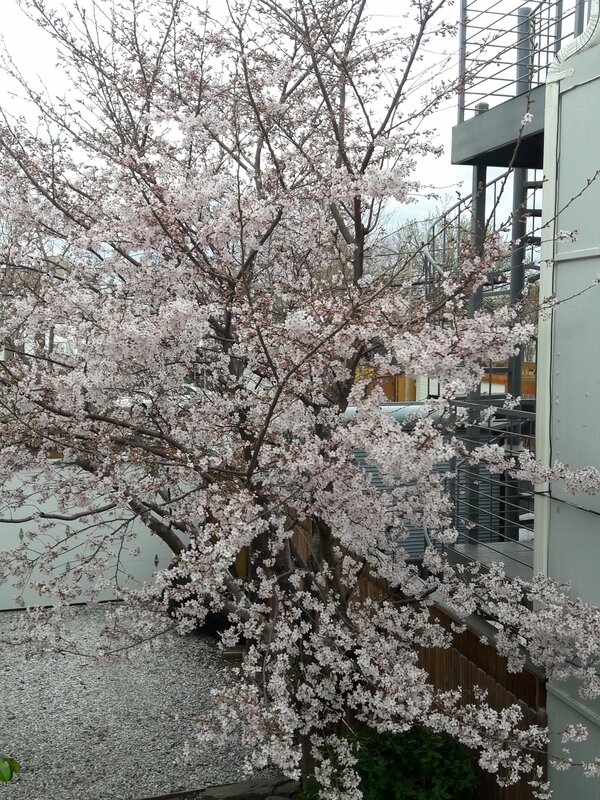 My cherry blossom tree has bloomed and is so pretty and pink! The daffodils came out earlier to say hi! This bright yellow bush as well! Welcome spring: to the birds, trees, flowers and to you, For Greener Thumbs readers! !